Searching online for ‘condensation control in Bristol’? Did you know the average household in the UK generates between 10 and 20 litres of moisture every single day? Many homes wouldn’t even notice and are properly ventilated and insulated but other homes are not so lucky. Continued exposure to condensation could leave your home vulnerable to dampness, which will inevitably lead to persistent and dangerous mould growth. Managing certain levels of moisture in the home is often down to the homeowner. With condensation, often being controlled by simply opening a window, having suitable and effective ventilation systems in place (bathroom and kitchen is a must), as well as properly heating your home on a regular basis, especially throughout winter. Specialists in managing condensation issues & treating damp and mould, the team here at Biocraft notice a considerable influx of condensation issues during cold weather periods. 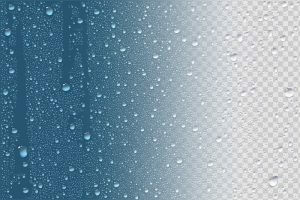 Below, you’ll find a short guide to how you can perfect your condensation control in Bristol. As mentioned, homes generate a considerable amount of moisture each day from bathing, cooking, drying clothes and even breathing. So, how can you stay on top of it? Test your extractor fans. Make sure they are working effectively and replace them where necessary. If you live in a rented property, contact your landlord and express your concern over condensation levels. Your extractor fans should be controlled by a ‘humidistat’, and not by a light switch. When using a tumble dryer in the colder months, ensure the unit has suitable ventilation. Whether it’s a vented or condensing unit, opening a window will make all the difference to moisture levels in your home. Cook efficiently. Always use lids when cooking with pans, and turn each hob down once water has boiled or optimal temperatures have been reached. This will reduce the amount of steam produced and reduce the amount of moisture in your kitchen. When cooking or bathing, try to isolate your kitchen and bathroom from other areas of your home. This will restrict the moisture & condensation to these rooms alone and will benefit more from their respective extractor fans. Avoid cluttering & allow plenty of space for fresh air to circulate around your home. Try and avoid pushing your furniture right against the wall (or other items of furniture) as this can often result in damp and mould building up in tight areas. 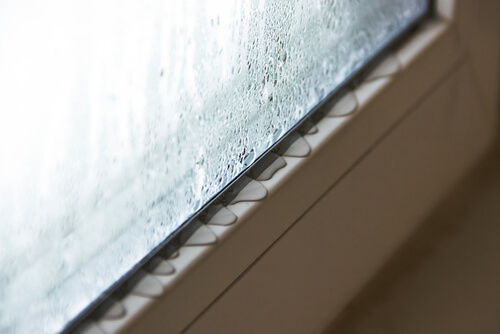 Make the most of the ‘trickle vents’ at the top of your double-glazed units. Keep them open as often and possible to allow a consistent flow of fresh air into your home. Constantly heating your home can be expensive, by using a timer and thermostat, you can have low, background heating on throughout the day which will prevent condensation build-up on walls and windows. Check your radiators & make sure they aren’t outdated. It’s important that they each have their own heating controls so you can control the temperature of each room. Also, check that your radiators are heating efficiently and are the correct size for the room. During colder periods, ensure your thermostat is set to hold a steady temperature throughout the day. We recommend setting it to 19°c -21°c throughout your home. The above tips should help you manage your condensation problems on a day to day basis. By reducing the amount of moisture created, effectively ventilating high-moisture rooms, and preventing the build-up of condensation with effective heating, you’re taking the first steps to condensation control in Bristol. If issues with condensation continue to persist, we recommend installing an effective ventilation system. At Biocraft South West, we use specially designed ventilation systems that create healthier living environments that are free from condensation. Once you have a ventilation system installed, they will require very little maintenance and run by themselves – with filters needing a clean (or replacement) every 5 years. For more information on our ventilation systems and managing condensation in your home, call our friendly experts today on 01793 272085. We’re specialists in condensation control in Bristol and surrounding areas.